Zak Ebrahim was born in Pittsburgh, Penn. in 1983, the son of an Egyptian industrial engineer and an American school teacher. When Ebrahim was seven, his father shot and killed the founder of the Jewish Defense League, Rabbi Meir Kahane. From behind bars his father, El-Sayyid Nosair, co-masterminded the 1993 bombing of the World Trade Center. Ebrahim spent the rest of his childhood moving from city to city, hiding his identity from those who knew of his father. He now dedicates his life to speaking out against terrorism and spreading his message of peace and nonviolence. In 2013, he participated in TED’s talent search in New York City, and was selected to speak at the main conference, TED2014, in Vancouver, B.C, Canada. His TED talk was released on Sept 9, 2014, in conjunction with his TED Book, The Terrorist’s Son: A Story of Choice. Ebrahim was interviewed by IU Southeast Academic Information Officer, Steven Krolak. As a boy, how did you experience the dissonance between your father’s growing radicalism and the world around you? When you’re a young child your thoughts and opinions aren’t formed based on your own experience so much as they are shaped by those with influence in your life. Namely your parents. The things my father taught me to believe did not seem out of the ordinary or extreme to me as I had no experience outside of his worldview. I was in a bubble. Creating that bubble is integral to the process of radicalization. Making someone believe that anyone who does not fit into a very narrow understanding of what it means to be “good” and then convincing them that those people (whom I had yet to actually interact with in real life) are a threat to their or their loved ones existence. In fact, it was getting to have interactions with those I was indoctrinated against (my first Jewish or gay friends, for example) that helped me to break down the stereotypes I had been taught. Emancipating yourself from your father and choosing a path of empathy were courageous acts. What were some of your personal turning points? It was those interactions with people I held negative stereotypes about that helped me to shed my old beliefs. Actually interacting with one another makes it very easy to realize that judging a person based on things like race, gender, sexuality, religion, etc. are arbitrary measurements. They tell you nothing about what that person is like. Ultimately the most profound experience that allowed me to choose peace was my experiences being bullied. For much of the first ten years of my education I was bullied physically and emotionally more times than I could possibly count. What that created in me was a capacity for empathy. You see, I had become so familiar with what it was like to be judged for things that are beyond my control that when it came time to judge people based on those arbitrary measurements, I realized I was doing exactly what my harassers had done to me. I did not want to make people feel the way I had been made to feel. And so that put me on a journey of self discovery that would eventually lead me to deciding to speak publicly about my experiences. As you strove to build an individual identity outside the path your father had envisioned for you, what were your guiding principles? In truth I’m not sure I could have even told you what those guiding principles were. I was a lost young man trying to make sense of an incredibly complicated world. As I got older I began to realize just what was needed to try and create change that benefited not just myself but others as well. I am a firm believer that while not everyone has the opportunity to work on major problems affecting society as a whole, we all have the ability to inspire ourselves and others. What we need to remember is that our actions have power. Whether it’s tackling a huge problem like helping refugees who are escaping war torn countries or our interactions with a neighbor, we all have the capacity to create positive change. Why is it especially important for youth to experience diversity and learn tools of empathy? Diversity is what saved me from the extremist ideology in which I was raised. If it wasn’t for the fact that I had the opportunity to interact with those I had been taught to hate I would have stayed in that bubble and continued to hate those I would come to realize I had literally known nothing about. This is why diversity is so important. It pulls you from that bubble and opens the world up to you. And that is especially powerful for young people. Creating that capacity for openness and empathy toward others is certainly the path to lasting peace. 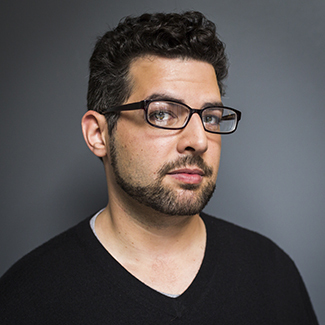 The Common Experience welcomes author and nonviolence advocate Zak Ebrahim to IU Southeast. Ebrahim will speak in the Richard K. Stem Concert Hall of the Paul W. Ogle Cultural and Community Center on Tues., Oct. 11 at 7:30 p.m. Admission and parking are free. Homepage photo by Ryan Lash.